Technology is becoming increasingly embedded in our everyday life through our suite of multiple devices, and as a result the way we work is changing. The consequential constant connectivity means that people often feel that they are expected to respond to emails at any time, or anywhere, and this can lead to work interfering with home life. While interference between work and personal domains has some positive connotations, such as allowing people to remain connected, it is also positively correlated with stress, particularly when work permeates non-work. Therefore being able to negotiate one's availability and thus have more control over boundary management can help reduce interferences and consequently stress. However, we still know very little about the practical implications of communication technologies and their role in boundary management and negotiation. 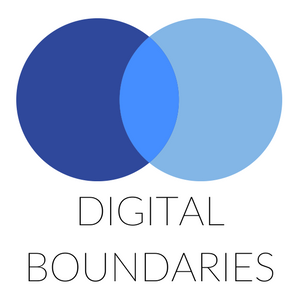 By bringing together theory from organisational psychology and HCI literature on computer-mediated communication and cross-device experience, this project investigates how communication technology across accounts and devices can support or challenge people's preferred boundary management strategies. Ultimately, our findings can help inform design recommendations to take into account and support users' boundary preferences. Cecchinato, M.E. (2014, September). Email management and work-home boundaries. In Proceedings of the 16th international conference on Human-computer interaction with mobile devices & services (pp. 403-404). ACM.